It's day 2 of the April Release Countdown! There are several things being released today over at MFT but there is a die....that I love!! To create this card, I masked off an area and added in some cloud stenciling. I scored the rest of the card front every 1/4" to give the look of thin ship lap. 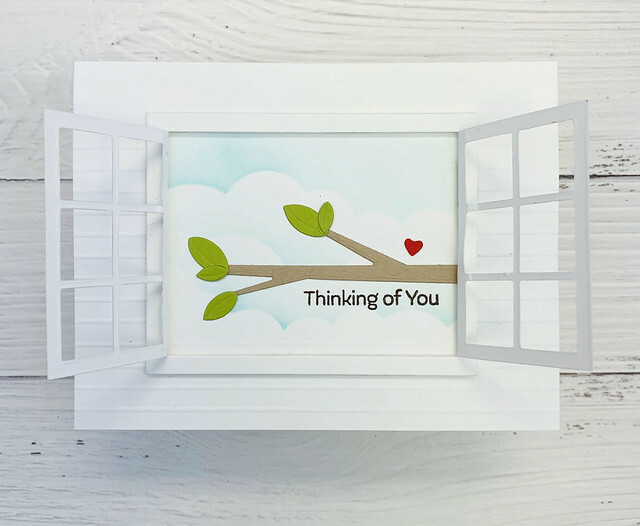 Next, I added in the branch, the little heart die cut and the sentiment, "thinking of you" from Sweetest Somebunny, inside the window. 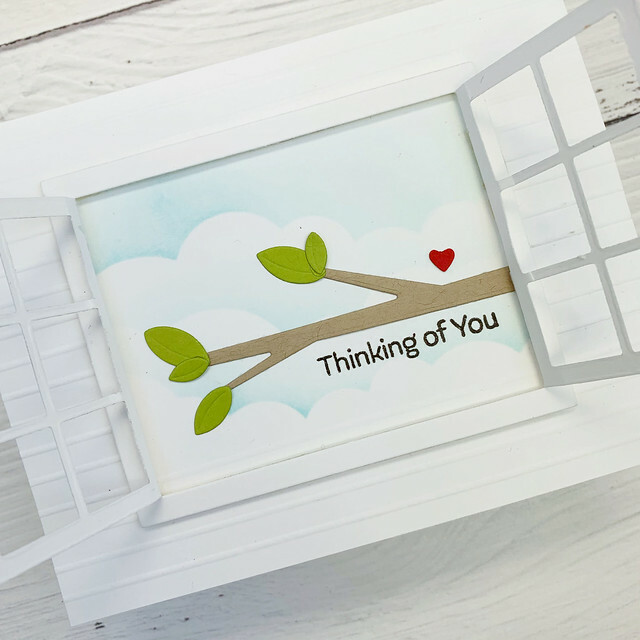 I popped the window die cut up with a foam tape border so it would have a little dimension from the card base. I love how the die comes with scored lines for the windows so they can open and close. Check out the rest the Design Team creations by heading over to the MFT Blog. Lots more to see before release day is here on Tuesday, April 9th! Beautiful CAS design and I love your scored lines, Laura...such a great detail! Oh this is fun, what a great die! I really love those window dies -- so many possibilities. Wonderful card, wonderful release. Awesome release! Awesome creation! 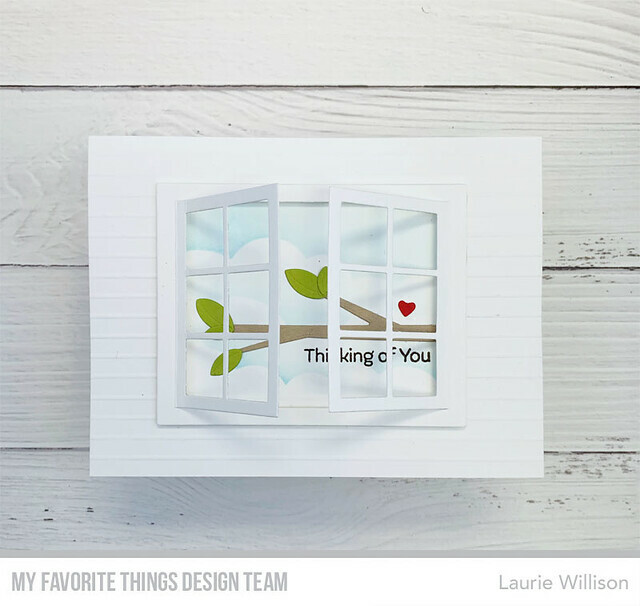 I love your open window card! Those window dies make for a great scene builder. Nice card!